Although Samsung expected to sell over 21 million Galaxy S5 units in Q3 2014, Samsung is expecting a 25% drop in orders for the next quarter (Q3, 2014) to just 15 million units. This drop is expected due to the upcoming Apple iPhone 6 and the recently released LG G3. The announcement of last year’s iPhone 5S had the same effect of Galaxy S4’s sales. According to sources, Apple will release the iPhone 6 in 4.7 inch screen and 5.5 inch screen variants. Even LG G3 is putting a lot of pressure on Samsung Galaxy S5 as it looks better, has faster camera and a larger screen in similar sized body. According to the reports, in the initial few days after its launch, LG G3 managed to ship 25,000 to 30,000 units each day. 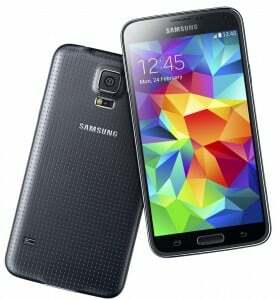 On the other hand, only 7,000 to 8,000 Galaxy S5 devices were sold each day during its initial launch days. I personally liked the LG G3 better than the Galaxy S5 but I might switch to Apple iPhone 6 with a 4.7 inch display and I am excited about iOS 8 because I already have other devices from Apple ecosystem. But I can’t leave Android as my primary device. What are you people excited about? Do let us know your choice of flagship smartphone. After iphone 6 release in India the price of Iphone 5s and 5c will come down(I hope so). I will buy 5s for 30k or 5c for 20k. Or else I will buy Moto G 4G lte.